Note: This is part 2 of a 5 part series. I’ve already explained the rationale behind this series of articles in the previous article, found here. 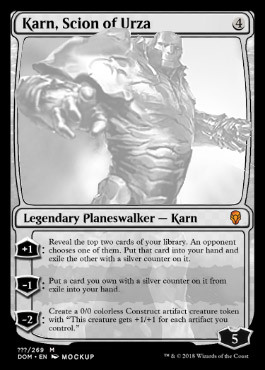 Picking up that thread, Return to Ravnica got me back into the game and Scars of Mirrodin and ultimately Innistrad cemented my interest in the game. Theros and Tarkir made me fall in love with the game. Both of my recent prereleases were attended for these sets. Chris and I fed each other’s addictions. It’s always during those times that our interest in the game is the strongest and this was no different. Core Set 2014 – 2011 was Titans. 2012 was Mages. 2014, well 2014 holds a special place in my heart. Sure, a big, dumb 6/6 that let’s you rez your little dummies is fun (Sun Titan) and a tiny dummy that can summon you an army of even tinier dummies (Jade Mage) are both fun, but what if all of your dummies could work together? 2014 introduced me to slivers and what has become a life long quest to make slivers work in a deck. I never got it to work consistently, but I did bother Chris one game with this guy and a few of the plus one guys. And, we all know that bothering Chris is my favorite MtG mini game. Theros: This is awesome. 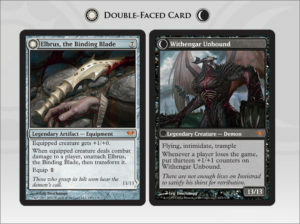 A couple of blocks ago, I got gothic horror for my MtG experience. This time, I’m getting ancient Greek and Roman lore. I studied math and philosophy in college. My wife studied classic as part of her education degree. We went to Greece for a vacation to celebrate her graduation. This set speaks to me on a primal level. As an added bonus, this is about the time that I actually started to think about Magic as a strategy game. With mechanics like heroic and monstrosity, I could no longer ignore the siren’s call of synergy. Born of the Gods: Just like the previous two blocks, the middle set was the smallest of the three. Also, like my previous looks back in those blocks, I was smart and I saved some to talk about for the smallest set that might not have that much to discuss. In reality, I just forgot about them in the previous section, so I’ll talk about them here. First, I forgot to mention “Bestow”, a mechanic that allows you to cast a creature as an Aura, which then detaches and becomes a creature again when the creature it attached to dies. Makes perfect sense, right? Nope, I explained it poorly. See Nyxborn Eidolon for some cool art and an example. Finally, what is a Greek themed set without gods? 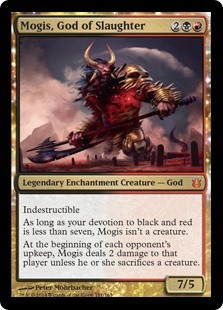 Mogis is probably my favorite from this set. Still trying to make a deck work around him. Journey into Nyx: Cripes, I forgot another mechanic in the last set as I was trying to make up for missing the earlier two mechanics. Inspire triggers whenever the creature untaps. 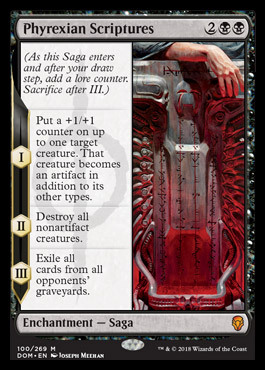 Satyr Nyx-Smith is a neat example and it leads me right into the mechanic of this set. Strive lets you cast multiple copies of a spell and choose different targets for each copy. Ajani’s Presence always teased me as a possibility for a heroic deck, but the Strive cost is a bit too steep for an aggro deck. Probably by design, I imagine. We are still a set off from creating game breaking cards. 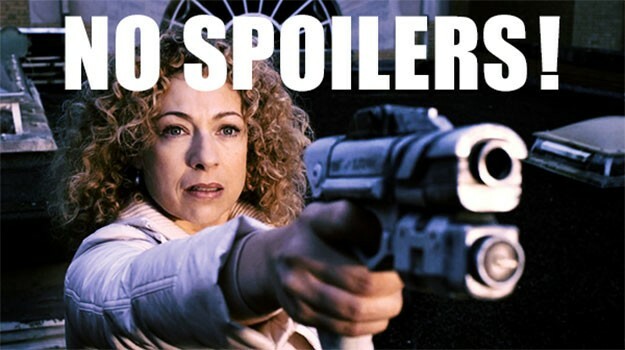 Spoiler Alert. 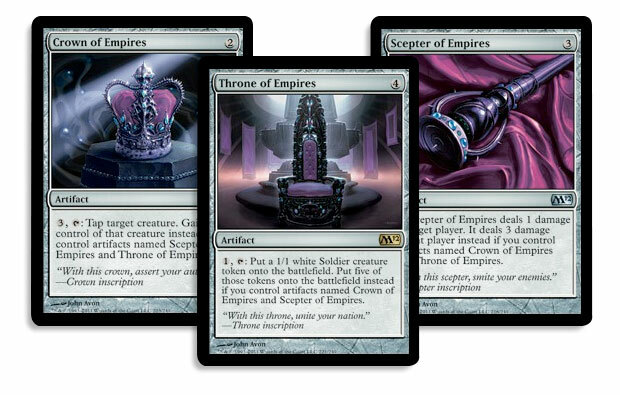 This set also contains my favorite card from the block and scry engine for my empires deck that I talked about in the last article, Sigiled Starfish. Core Set 2015: Through it all, trying to remember everything, and I still forgot Chris’s favorite mechanic from the set, Constellation. Well, I was trying to be true to my with the game and constellation never spoke to me. So, what cool stuff is in 2015? Not much, which is why I took up space mentioning constellation. 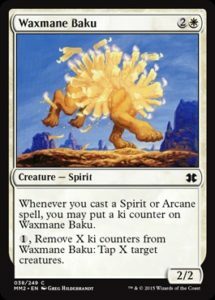 I mean, it does have probably the best named card ever, Hot Soup, and Waste Not, which was designed by the MtG community. 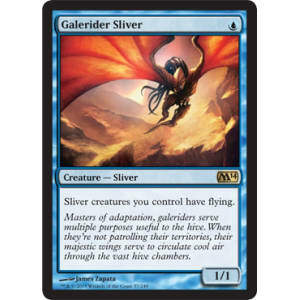 And sure, Sliver Hivelord is pretty cool, too. Other than that, it was a pretty standard set and right about when I started to tire of Core sets. 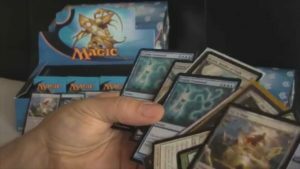 It seems like I wasn’t the only one who was tired of them, either, because Wizards announced that Origins would be the last core set and later reversed that decision. But that’s in the next part. Khans of Tarkir: My other prerelease came during this set. I brought the boys along for this one because I always want to include them in the things that I enjoy. That proved to be a bit of a mistake because they were a bit too young for what ended up being a much longer day than expected. I also chose poorly for my prerelase kit and went against my nature with Mardu. Both the clan and the cards were telling me to go aggro and I tried control. It met with failure. I lost the first two games and then Aiden wanted to leave, so we dropped. It was so miserable that we haven’t been back. That’s not entirely true. The last part is true, but it’s not necessarily because of this experience. It’s just that life gets busy. And it paved the way for them to print one of my favorite cards ever. Dragons of Tarkir: I was back in the game by the time this one rolled around. Maybe it was just the business of the new semester that kept me away for Fate Reforged? I know for a fact that I was back in for Dragons. I remember that I wrote an article about attending the prerelease with my kids and decided against it. The set, though, was so much fun. When you put dragons in the name of a set, you had better come with the dragons. It is not a stretch to say, “Here there be dragons” in Tarkir anymore. Theros was an undeniable flavor win. The ancient Greek lore spoke to the math, philosophy, and classics nerd in me. Besides that, we had fun playing the block. 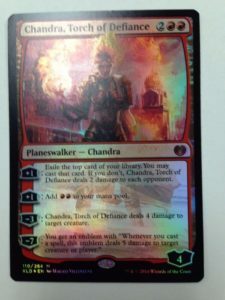 While looking through the set to write this article, I texted Chris, “Theros was just a solid block.” He agreed and we talked about how much fun it was. I then, as I often do, speculated how much fun it would have been to draft the set. Granted, I did a prerelease, but drafts are a completely different strategy. Who knows? 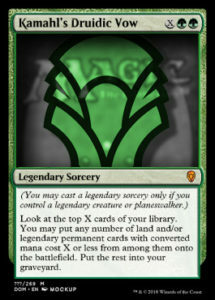 Maybe one of these days I will put together a Theros block cube with all of my spare cards. 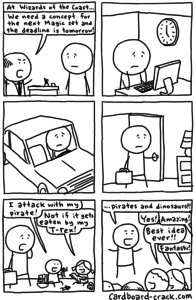 I had a different reaction to Tarkir. It focused on multicolor like Return to Ravnica. Unlike Ravnica, the clans were three color instead of two color. Having never played during Alara, the concept of three color decks intrigued me. I also learned a great bit about the MtG color wheel. The three colors of Alara were three allied colors while the three colors of Tarkir were two allied colors and one enemy color. That all changed when the dragons came back, but I enjoyed it while it lasted. Up next is the end of core sets. Is it really, though? We also take a trip back to some recent planes before going to 3 new and exciting ones. The final part will talk about the set that took us all the way back to the beginning and set the stage for the Return to the Return to Ravnica. Be sure to keep reading and I hope these articles are bringing back as many great memories for you as they have for me. Note: This is part 1 of a 5 part series. Why Scars of Mirrodin? 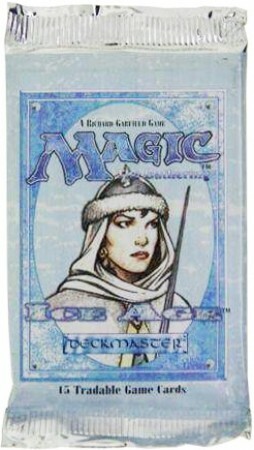 Chris and I are going to talk about Magic’s return to return to Ravnica on the podcast this week. 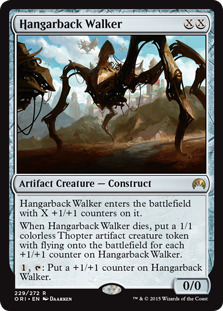 After their most recent revisit to their old home, it’s clear that the R&D guys at WotC are feeling nostalgic. This nostalgia has inspired me to take a look back at my history with the game. While I have been playing the game since the beginning, it is only since Scars of Mirrodin that I’ve been actively engaged in the game. 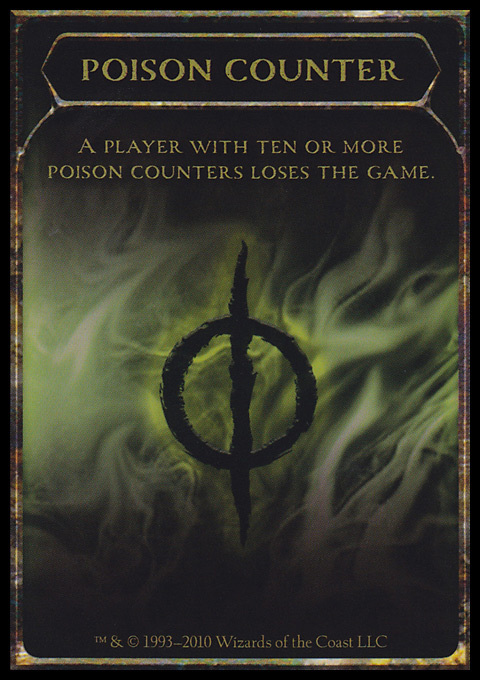 Plus, Mirrodin introduced poison to the game and that’s everyone’s favorite mechanic. Am I right? Guys? Guys? Okay, that’s not entirely true. Return to Ravnica was my actual reintroduction into the game. I then worked backwards to fill in my collection with older sets. It wasn’t until the Zendikar block that boxes became prohibitively expensive, so I stopped at Mirrodin. This article started as a Top 10 list since Mirrodin. Then I was going to rank all of the sets. Why isn’t this a ranking? I decided not to do either because; (a) that’s a lot of sets and (b) more importantly, rankings are stupid. There’s plenty from all sets that I both enjoy and don’t. 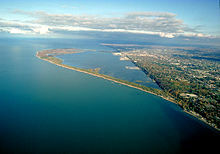 Besides, I started this web page to be a different voice from everything else out there. Instead, I’m just going to tell my Magic the Gathering story and how it has evolved over the last 5 years or so. Hopefully it succeeds and that you enjoy. Core Set 2011: We know them. We love them. Okay, maybe that’s a bit of a stretch, but Wizards did try to kill them after Origins and now they’re back. Someone somewhere has a soft spot for the dependable and comfortable core sets. 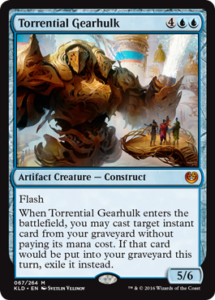 This one was neat because it had the Titan cycle (Primeval Titan is my favorite) in it and all of those cards are awesome. Even this guy who doesn’t see much play is pretty awesome in cube drafts. Scars of Mirrodin: These sets are a very different style that I’m used to in a Magic the Gathering set. 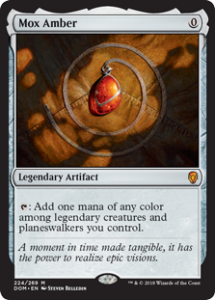 In addition to being more colorless focused because of the artifacts, poison and phyrexian mana are included. Most mechanics tweak the rules a bit, but they work fully within the confines of the game. Occasionally, a mechanic might add a new twist to the game. Both poison and phyrexian mana break the game in fundamental ways. Mirrodin Beseiged: Being the smallest and middle of the three sets, there isn’t much memorable, as least for me. One card did jump out at me as I was looking through the binder, though. I pulled more than one of Phyrexian Rebirth and got obsessed with trying to build a token deck around that card. It never happened, but maybe I have a new project for the coming weeks. The lore nerd in me alone is excited to write a story for that artwork. New Phyrexia: This is it. All hope is gone. The fight is over. 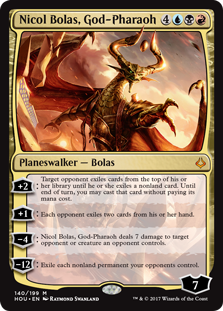 Mirrodin has lost and the Phyrexians have remade it in their image as New Phyrexia. 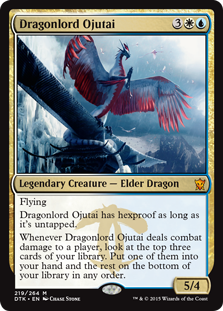 This is reflected in the cycle of Praetors (here I’m true to my blue roots and want to build around Jin-Gitaxias, Core Augur) in this set, incredibly powerful creatures that are the envy of all Commander players, yours truly included. 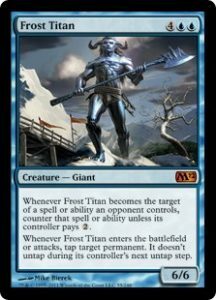 Core Set 2012: 2011 gave us Titans, appropriately named big dummies that could be used to make your opponent miserable. 2012 brought us Mages, 2/1 creatures with a mana activated abilities. 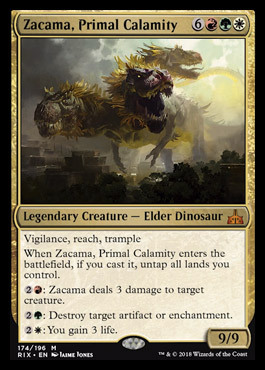 I mean, I guess that’s just as cool as 6/6 creatures who can ramp 2 lands per turn. Not really, but they also gave us the Empires cards. I used them to make a deck that made Chris miserable for a game a few months ago. Because I’m the happiest playing MtG when I can durdle my opponent into a stupor. 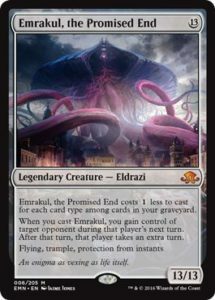 Innistrad: Okay, this is more like it. While Mirrodin was cool and it added some interesting things to the game, it was a bit too alien for me. As a fan of fantasy and horror who played several campaigns through the D&D setting Ravenloft, Innistrad speaks deeply to me. Vampires and Werewolves, and Ghosts, oh my! Dark Ascension: I was so focused on sharing my excitement for the set that renewed my love for Gothic themes in fantasy settings that I forgot one of the best parts of the Innistrad block. Double sided cards! 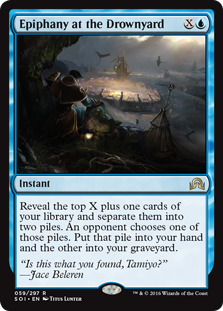 Sure, you have the Legacy meta defining Delver of Secrets. But, what about Loyal/Unhallowed Cathar that changes color identity when it flips? Don’t forget about this thing, either! It’s a weapon that turns into a demon! 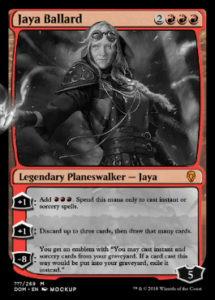 Avacyn Restored: Forget for a moment that I can’t pronounce Avacyn. Look, I’ve heard it pronounced Ah-va-sin many times by many different sources. My brain still wants to make it Ah-vah-kin for some reason. What’s that got to do with anything? Nothing, I just needed to get that off my chest. 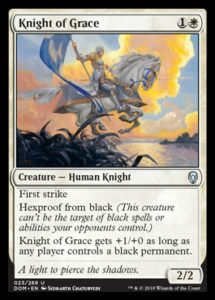 In addition to the titular angel, Avacyn, Angel of Hope, there are three others that play a pivotal role in the lore. 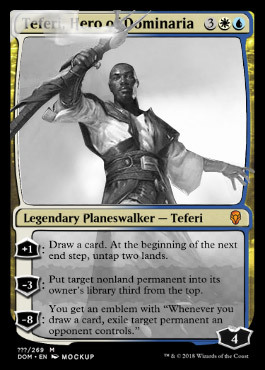 Also, the Planeswalkers (Tibalt, the Fiend-Blooded and Tamiyo, the Moon Sage) are the first ones that I noticed that aren’t the usual five. Mirrodin changed Magic the Gathering in several ways. I have heard the argument more than once that they were game breaking and not at all in the spirit of making the game more fun. While I won’t either agree nor disagree fully with that sentiment, I will leave you with this. We haven’t been back to Mirrodin in any way, shape, or form, so that might tell you something. Heck, they even took us back to Zendikar and people hated Eldrazi more than they hated the Phyrexians. Innistrad restored some of the balance of the game, lore wise. Instead of weird and alien creatures trying to subjugate other weird and alien creatures, we had vampires, angels, werewolves, spirits, and demons. It was a much more familiar setting and one with which I was far more comfortable. I can’t say that I would have quit Magic if Innistrad hadn’t been more traditional, but I do know that my joy in the game would be greatly diminished. Make sure that you don’t miss the next part when I will discuss the Theros and Tarkir blocks. You may have noticed that I skipped the Return to Ravnica block. That’s because I’m saving that one for last since it connects so well with the next sets coming out and they are the reason for this look back in order to move forward. I used to be invited early to beta tests for new games. I invested a couple of times in somewhat top of the line gaming laptop computers, so I had the specs that game designers coveted. Test the game in the highest resolution with the highest FPS, and really put it through the paces. Since all of those computers have met with tragic ends after only months of use, I’ve gotten smarter and gone with a budget laptop that will allow me to do the bare minimum as far as gaming goes and is more focused on work. I can get a better gaming desktop for cheaper and I won’t be carrying that everywhere I go, so less of a chance of it falling down the stairs or being run over. Still, with the recent push to mobile gaming, for many games specs aren’t as important. Either that, or it is later in the beta invites for MTG: Arena. Because, somewhat surprising, I received a closed beta invite to the game sometime last week. I do know that they were attempting to do a stress test on their servers, so maybe they just did a flood of invites. Whatever the reason, and for better or worse, I’m in the game. 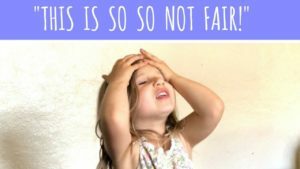 Regular readers of the page know that one of my saying that has become cliche is that I say “It’s….” followed by some game as explanation for why something is good or bad. I almost always follow it up with some explanation, but at this point I feel like it is expected, so at the risk of being hack writer guy, I’ll start there. MTG: Arena is good because, well, it’s Magic the Gathering. Sort of. That’s not to say that there are elements of the game missing. 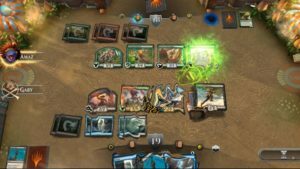 Everything that makes Magic unique among card games and separates it from Hearthstone, the main digital card competitor, is there. I worried when I first saw the game that they were trying to make it too much like Hearthstone. They did…sort of. More on that later. Don’t get me wrong. I’ve grown accustomed to Hearthstone. I wouldn’t say that I enjoy it (not all of the time), but it can be a fun diversion. It’s just that Magic is different and it always has been. One of the things that I don’t like about Hearthstone is that there is no interaction between players, really. You interact with your opponent’s minions and occasionally throw a fireball or pyroblast at their face, but you can’t interact or interrupt their turn other than secret cards and those aren’t targeted. I’m here to report that the turn structure is still there. There are still two main phases, a combat phase that allows you to choose attackers and defenders, and an upkeep and cleanup. Those last two aren’t defined by the game. They happen automatically. Through it all, the game still has instant spells that you can cast at any time, even during your opponents turn. Glory, glory, say blue mages. Draw, go, is a viable strategy in this new Arena. I saw someone on Twitter say that the game is barely Duels 2.0. Maybe it is because I never played that particular game other than against the AI, but I don’t have that same impression. Sure, Arena is similar in many ways to Duels, but Arena feels meatier. It felt more like playing Magic the Gathering than Duels ever did. That’s what I like about it and that’s what will keep me playing. It’s not perfect, though, not by any stretch. I mentioned earlier that when I first saw screenshots for the game, I worried that they were taking too many cues from Hearthstone. Once, during a conversation with Chris, I even confused him by calling it MTG: The Hearthstone Update. It’s virtually impossible to get into digital card games without being compared to Hearthstone in some form or fashion, even for a 25 year old game like Magic. Hearthstone is just king of the hill of digital card games. They definitely took clues from Hearthstone. There is an emote system that is set up almost exactly like Hearthstone’s. The backgrounds, while not yet interactive, have a similar feel and vibe to the tables that Hearthstone has. Aesthetically, my brain couldn’t figure out if I was playing Magic or Hearthstone because the look of the games is so similar. Additionally, the cards have animations and sounds. I understand that they need to separate this property from the more serious MTGO and that they’re trying to grab some money from players who only play Hearthstone. It’s a strange dynamic that MtG players will often cross over into Hearthstone, but there has yet to be many prominent Hearthstone players who have become competitive MtG players. So, I get it. They just seem to be trying a little bit too hard to emulate what they think makes Hearthstone different instead of highlighting what Magic does well. Right now, the only mode that is offered is Standard. That’s it. I get that it is going to take them time to program all of the interactions of older cards and who knows how long something like that can take. However, there’s no draft mode, which is odd. 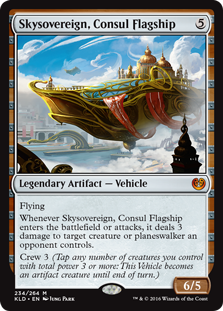 There’s no commander and I don’t even see any indication that they’re going to update with the new Brawl mode that is being introduced with Dominaria. Come to think of it, I didn’t even see any mention of Dominaria in the game, either. Maybe I overlooked it. I will look again when I play. First, if they want this to be viable as a Magic product, it has to update with or very close to new set releases. Nobody is going to play last year’s standard when this year’s standard will be available in paper and on MTGO. Secondly, as a fan of limited and eternal formats, standard only is not going to keep me entertained or engaged for very long. They could find themselves with another dead digital property on their hands. 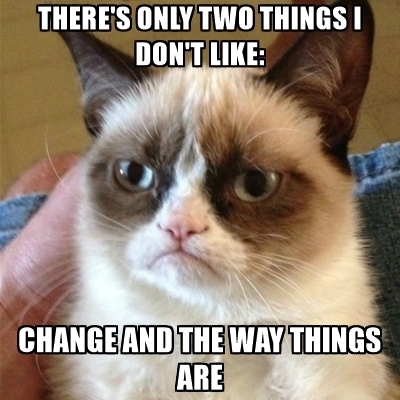 …and not so shiny objects, and shiny non objects…let’s face it. I’m easily distracted by… well, easily distracted covers it. This mish mash of Magic and Hearthstone is a little bit too much Hearthstone and not quite enough Magic the Gathering for me right now. As I said, I enjoy Hearthstone, but I don’t want it in my Magic. Those aren’t two great tastes that taste great together. Once upon a time, Chris and I experimented with a Hearthstone “rules” Magic the Gathering where you play from a mana deck each turn. It was supposed to remove mana flood and screw, which are two things that we (and many players) hate about the game. It did, but it wasn’t Magic, so we haven’t done it since. Perhaps it will take some time and since it is closed beta, they aren’t at a finished product yet. Maybe with more games, more cards, more opponents the game will grow on me and it will become part of my regular rotation. After all, it took several years and many hundreds of games before I accepted Hearthstone as part of my daily gaming routine. MtG: Arena might just be on that trajectory. A couple of days ago, I got inspired to go online and do a Magic the Gathering draft. I wish that I had taken notes, because after I realized that it would have made a great article. I still think, even without notes, that I can make it into a decent article. Instead of getting into the weeds too much, I can just talk about some general “ideas” that came from the experience. Hopefully, in the future, I will keep better notes and I can refine my writing to more accurately reflect my thoughts during the draft. One of the things I do remember is that early in the draft, I texted Chris and said, “I’m drafting and I’ve gotten all of the vampires and cleansing rays.” He asked if it was standard. I replied that it was and he said, “Well, you’ve already won.” I agreed and it turned out to be true. I won the first match, though it was closer than anticipated, took a bye match 2, and then had to drop because Easter plans with the in laws loomed. Therefore, we unfortunately don’t know the ultimate fate of this deck, but I’m just going to live in the fantasy that I went easy 3-0 and collected my “no prize”. I’ve never actually won a no prize. 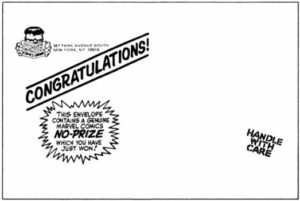 By extension, does that mean that I’ve actually won? Oh man, how lucky am I? First pack, I opened a Bishop of Rebirth. When I did a two man draft against Chris, we opened this card. I hadn’t anticipated at the time that it could be a bomb. Having somehow drafted it and played it against him, I now see that it very much is and can change the tide of a game very quickly.A� Of course I’m going to pick that one first and then worry about the rest later. 3-0, here I come. This Bishop of Rebirth is going to…wait, what is this? As you can see from the picture above, that’s not Bishop of Rebirth. That’s Bishop of Binding. 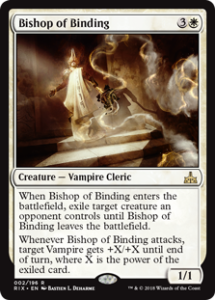 It’s not a terrible card, but is definitely isn’t Bishop of Rebirth. Oh, crap. So, what do you do when the bomb you thought you drafted turns out to just be Mentos and Coke? Well, if you are me, apparently, you just draft vampires. Seriously. I started down that route and realized about halfway through the pack that vampires were wide open. Not only that, but I did a test to see if anyone else was paying attention. 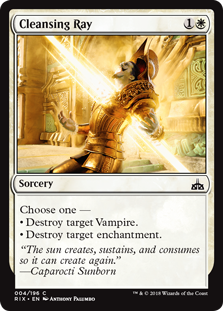 I saw a Cleansing Ray early int the pack and thought about picking it to protect my vamps, but there was another card that I wanted, so I went with that. Much to my surprise, the Cleansing Ray came back around. I definitely took it that time because now it was the end of the pack. What is going on with this draft, I wondered? Vampires are wide open and Cleansing Rays are not being drafted. Clearly, my opponents are not paying attention or they are focused on other strategies. I guess we’ll see. Come to me, Ugly. You will not show up later on in these matches to destroy me. I just continued to draft vampires. I was also at the point where I just hate drafted every single Cleansing Ray that I saw (there were a total of five that I drafted). I think it was after the third ray that I texted Chris and we had our conversation. I ended up with 3 Conquistadors, a Legion Lieutenant, a couple of Oathsworn dudes, one or two Queen’s Commissions and other ways to make tokens for lifelink and a way to bring back the Oathsworn dudes, a Skymarcher Aspirant, and those are just the cards that I can remember 4 days out. Plus, I was able to get some removal. It really was a beautiful deck and I wish that I had been able to get a screenshot of it. As I already mentioned, I was only able to play one match because I got a bye Round 2 and had to drop Round 3. The match wasn’t as much of a runaway as I anticipated. Game 1, I got the Legion Lieutenant to stick late in the game and finally ran him over. He was able to remove my only fliers in game 2 and stick one or two of his own for the win there. He also removed my lieutenant early in game 3, but I was able to neuter his fliers effectively and control his ground game enough to hold on until I could give another one of my vampires flying and get through his blockers for the win. It was intense and I almost timed out, but felt good to get back into drafting. While I had a miserable experience drafting the latest Masters set, which Chris and I talked about on the podcast this past week, this draft went much better. I may be playing the results a bit here, but I think that I’m going to continue to draft in Ixalan for the next few weeks until Dominaria starts and then I can’t wait to see what experience that set provides in terms of drafting. It’s probably my favorite (and most accessible for me) way of playing the game and I’m glad that Wizards continues to support it in a big way. 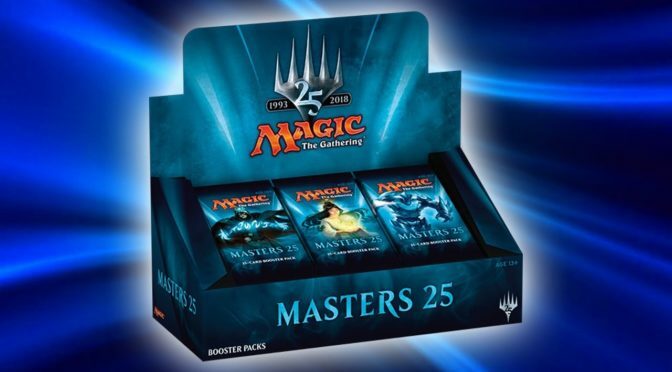 It must be time for another release of Magic’s “Masters” set. A�Chris and I have started our prerelease ritual of texting one another box prices and our intentions to maybe perhaps think about possibly buying one. A�I started the conversation yesterday with the news that a local store is taking preorders at a decent price that they will honor until the week before release. A�I did some research and saw, again, that the box only includes 24 packs. A�That got me waffling a bit and perhaps thinking that my money was better spent elsewhere. 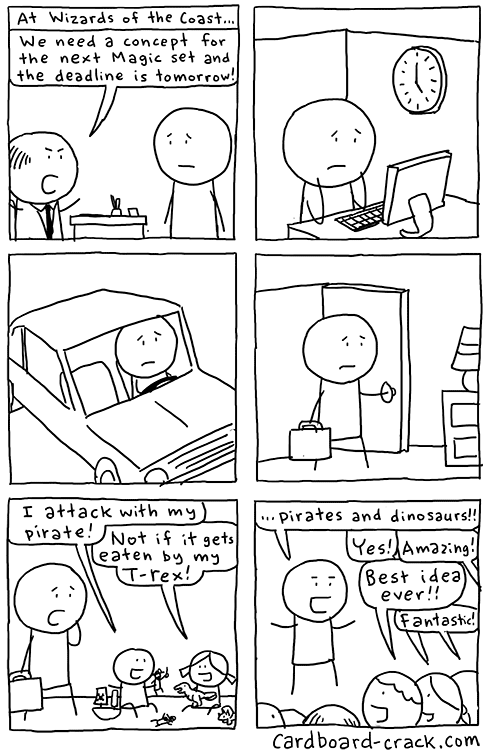 A�After all, I still have to buy my Rivals of Ixalan sealed product. We went back and forth, initially agreeing that it was a silly idea for either of us to buy a box. A�I suggested going in half and splitting one, though honestly neither of us was terribly receptive to that idea. 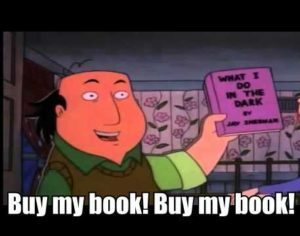 A�Conversation turned to my van “Check Engine” light, which is a big deal in my life right now. 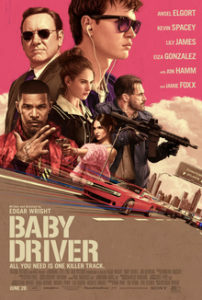 A�I’m driving around with a rejected inspection sticker and looking over my shoulder like I was driving the getaway car in Baby Driver. Wait, are we allowed to reference Kevin Spacey projects any more? Then, as I was in my class, Chris texts me with a link to a place selling them for an even better price, but he was under the impression that it was only in bulk and that you’d have to buy a case of them. A�While that was true for the price he quoted, there was a slightly higher price for non bulk orders. A�He and I both agreed that we wouldn’t find a better price than that and stamped “SOLD” across the post in big, red letters. A�Even so, I’m still having second thoughts. A�Look, I get that this is one of most first world of all first world problems. A�But, I imagine that some of you out there might be having the same issue and it always helps to talk things out. A�Hopefully, by the end, I’ll arrive at some sort of conclusion. Jace, the Mind Sculptor – This is the best argument that can be made for the set, especially now that Wizards has decided to let loose the hounds of hell and give Jace another shot of showing just how repressive he can be in Modern. 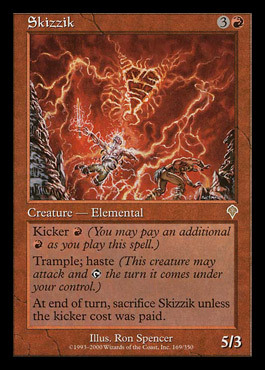 A�Similar to Black Lotus, I have been obsessed with this card ever since learning of its existence. A�I mean, come on. A�It’s blue and it’s Jace. Early on in my entry back into the game, its name was only whispered in darkened corners and never openly discussed. 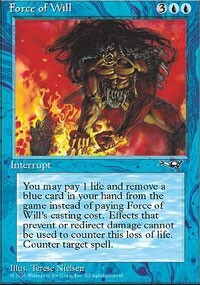 A�As I became more familiar with the game and more people argued for the unbanning, I started to wonder why (more than it’s blue and it’s Jace) the card appealed to me so much. A�Other than the previously mentioned reasons, it’s also 3 of the best blue cards ever printed on one card for only 4 mana. A�That’s true, but it doesn’t quite capture the essence of why. Then, a streamer responded to someone in his chat who mentioned the potential that maybe the card could be unbanned from Modern. 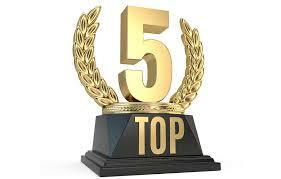 A�I told you the conversation has been gaining momentum. A�He said that he agreed with the banning, which got people going before he even had a chance to explain. A�That’s what reminded we that we were in Twitch chat and not Socrates discussion circle. A�On the internet, nobody can hear you, well anything, because they are too busy shouting over you. His point was that the card was too good. A�Of course it is. A�Otherwise, they wouldn’t ban it. A�But, it was too good in the way that other cards aren’t. A�See, people lost to Jace, but they would have no idea that they lost to Jace. 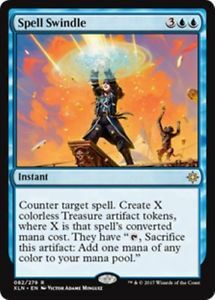 A�They would blame this card or that card, all the while neglecting to realize that Jace set all of that into motion 10 turns ago. A�A light went on in my head and all was made clear. 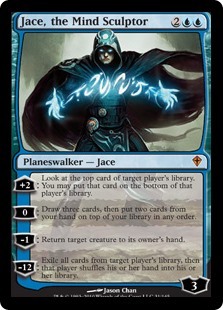 A�Jace is the ultimate blue card. A�They’ve tried before and since to distill the essence of what it means to be blue, but this card nailed it. A�Sneaky good, beats you before you realize it, and then strings you along for a good while after. A�Just an amazing card design. I’ve mostly only experienced drafting the Master sets from the outside. A�I watched streams of the GPs for the Modern Masters set last year, astounded that people were giving the player crap for taking a foil ‘Goyf with his pick. A�I have drafted a few of the sets, mostly Modern Masters 2015 in xMage since I didn’t know about the sets and especially not their draftability. A�Since learning of them, the cost of the packs has kept me away. A�Who wants to pay 30 dollars for cards and then give half of them away? After Chris sent me the link of the better price of the boxes, I texted him back, “Maybe this will finally inspire me to do what I’ve always meant to do and just post an unboxing video.” A�He replied, “Yep, that would most likely get hits.” A�I agreed, especially if I can get it done on release weekend. A�As with many things, there are no promises on this front, but we have been good about updating articles and recording podcasts and uploading videos are part of Phase 2 and 3 of our eventual internet takeover. We are still relatively early in spoiler season for the set. A�Other than Jace, we have Azusa, which is a relic of a Modern meta long past and Phyrexian Obliterator, which is fun to draft in cube, but not as much fun as, say, Massacre Wurm or Big Daddy Gris. 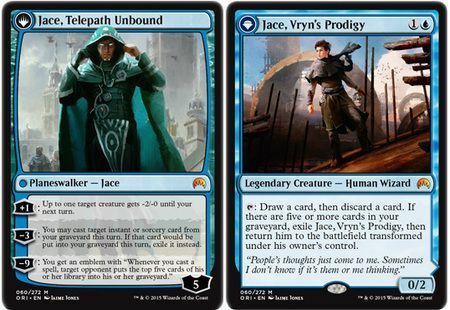 A�So, in other words, other than Jace, there is literally nothing else that has me excited about this set yet. A�Jace is the only thing. A�It keeps dancing in front of me like some ridiculous dream that will most likely never be realized and yet, I can’t say no. 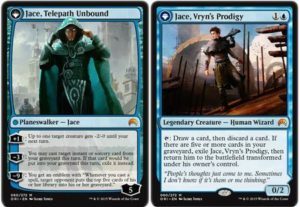 Sure, there will be other spoilers and some of those cards might actually get me to say, “Wow!” A�Honestly, though, none of them will be Jace. A�He’s my man crush Monday. A�He’s my tweet about this dude I love Tuesday. A�He’s my Hump Day dream. A�He’s my…okay, you get the point. A�Am I just buying this 200 dollar boondoggle simply because of the (I don’t want to do math, so here comes a made up statistic) one out of a thousand chance that I am blessed with one of the boxes that contains Jace? A�Maybe…. 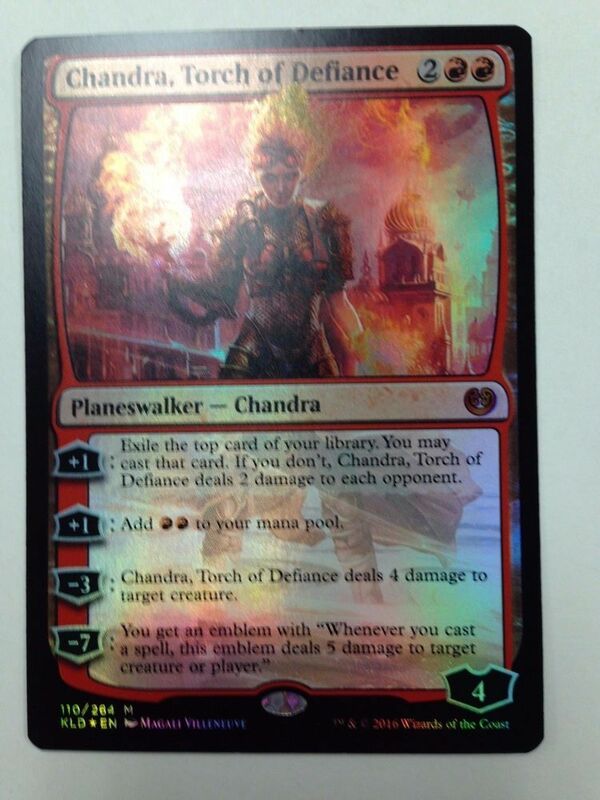 Because these sets are designed to be drafted, Wizards can’t make every card a bomb rare or mythic. A�For every Jace, there are (another made up stat because it’s Friday) about 3 dozen Waxmane Bakus. A�While they are cool when you are trying to put together a sweet spirit deck in your draft pool, they are miserable to continue to pull from packs that cost twice as much as any other Magic the Gathering pack. As I said before, in the pantheon of first world problems, this is one of the first worldest. A�Nevertheless, it is not one that I’ve gone through before. 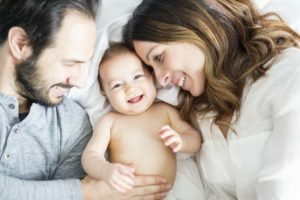 A�Since these sets generally come at a time when I’m either on break or having just gotten off break, I’ve never actually had the money before to spend. A�Now that I have the money to spend, I have to figure out if I’m really going to spend it. If I was truly thinking with my head and going over the Pros and Cons list that I just made, I think that I’d come to the conclusion that is isn’t worth the extra money. A�However, when it comes to games and gaming, I rarely think with my head. A�Most of the time, I go with what my gut or heart tells me and that’s telling me to stop being such a weiner and just preorder the box. There’s a tiny chance that I can pull a Jace or some other really cool card from the box, which will make for great video. A�Sure, there’s also the chance that I might end up with a whole bunch of garbage, but that can happen with any box of cards and has never stopped me before, even when I was spending 200 on old boxes of Phyrexia and such. A�Chris and I have been really into drafting lately and I want to see what this set would look like in one of our two man drafts. So, let’s listen to the old heart and stop being such a weiner.